It’s a new week!! with new ideas and fun fabric,this last week I had company, for 3 days I still needed to stay on task! so I can reach my 100 quilts in a year goal. 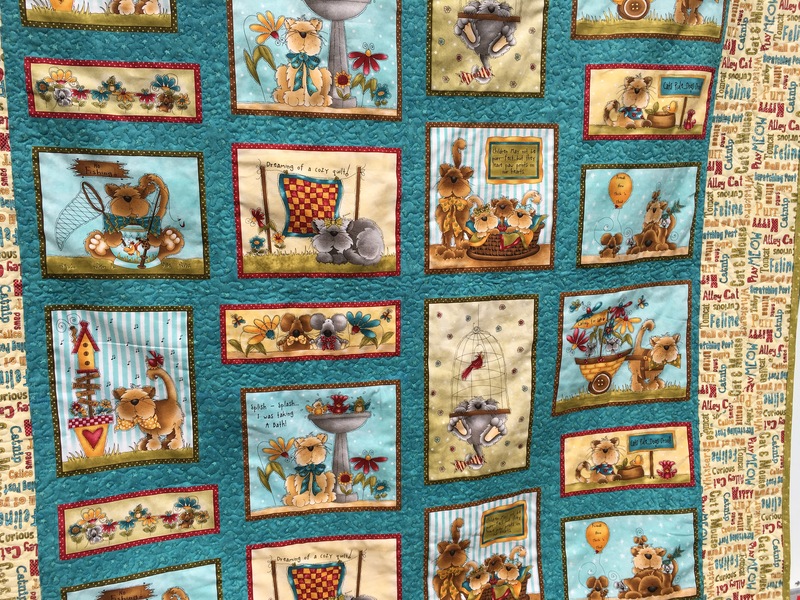 So in doing so I had a cute panel of cat fabric, that was my ticket to staying on track the fabric line was from Henry Glass called Cats caboodle, it’s really adorable I added one small border on the top and bottom then framed it all in with a funny cat themed fabric. It was then top quilted with stipples, loops and feathers. A wonderful project while family was visiting they where able to see what I do everyday, enjoy the process even tho it was a cheater quilt I have been told 😊 as all I have to do is take a panel add borders and that’s it easy pesiey!!! 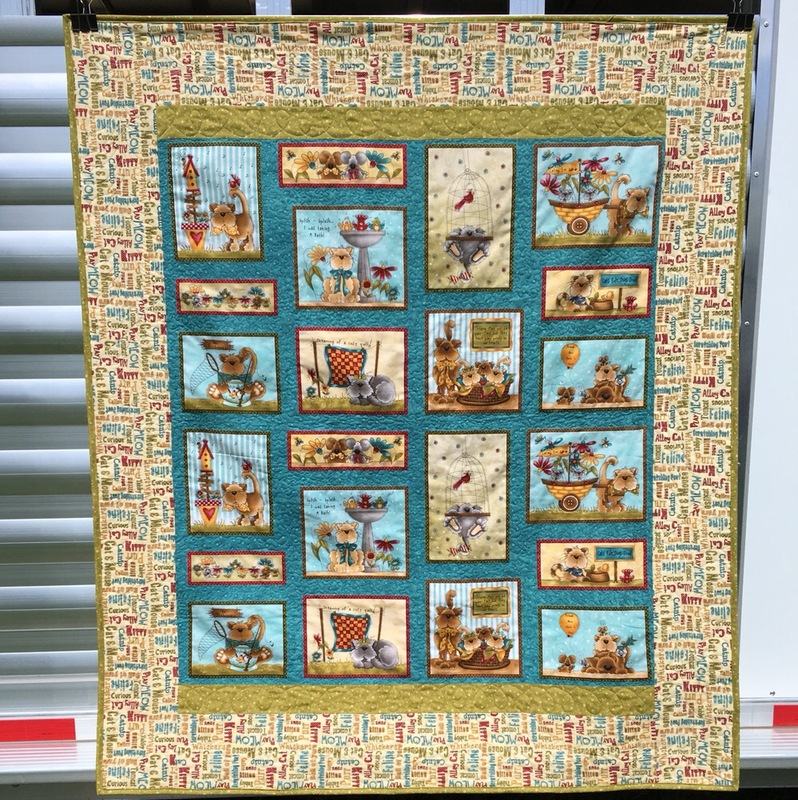 Next time your needing a quick quilt try a panel they are fun and fast! !